Career guidance with zero career gimmicks. Myths, old wives’ tales, and urban legends: Whatever you call them, they have no place in career planning. Unfortunately, there’s plenty of outdated (or altogether false) information that can bring your career to a screeching halt. If you’re holding on to these relics, it’s time to let them go and focus on taking advantage of career opportunities. For starters, you can completely disregard these five commonly held myths in your next job search. Knowing the truth will set you on your path to career growth. You find the perfect job on Monster, only to discover the company is looking for someone with five years of experience. You have four. But don’t hang your head! You’re not automatically disqualified. “Often candidates opt out of pursuing great career opportunities for fear they do not match all of the requirements listed on the job posting,” says Alyssa Krane, chief talent strategist at Powerhouse Talent, a boutique HR consultancy in Toronto. “While the job posting outlines the ideal candidate, the truth is, at times, employers need to adjust their requirements to meet the talent supply in the market.” If you meet all the main skill requirements, you should absolutely apply to that job. Furthermore, if a company lists a niche skill on the job posting, they may not find any candidates who fit the bill. In that case, they will often end up hiring someone who demonstrates other skills and shines in other areas, Krane says. So if you have a winning track record in development but haven’t used the latest fundraising software, don’t let that prevent you from applying to a job. Do what you love and you’ll never work a day in your life, right? Wrong. You know what turns your passion into a pain in the neck really quickly? A deadline, a client taking your vision and changing it, or having to send invoices repeatedly when customers are late paying. Then not only is your job unsatisfying, but you’re also out one hobby that you used to enjoy. Having a job you love isn’t necessarily the same thing as following your passion. It’s a big world out there, and you can find fulfillment in plenty of jobs. Look for a job that you’ll find satisfying rather than limit yourself to something you’re totally passionate about. Maybe you love to fish; there are loads of environmental careers that overlap with your fishing interests. “Consider your passions, but balance that with the larger macro-economy, what your skills and talents are, and the networks you have developed,” says Ben Brooks, New York City–based founder and CEO of PILOT, a tech platform that helps companies retain their best employees by actively managing their career paths. You may be a genius at your job, but if you lack leadership and managerial skills, those won’t magically appear the second you get promoted or get a new job. You need to work on honing those separately, says Terry Traut, founder and CEO of Entelechy, a leadership-development company in Silver Lake, New Hampshire. Leadership is a skill that requires continuous nurturing, and getting help from your supervisor can help you set new expectations, sharpen your people skills, and build your confidence. You should be reading, taking professional-development courses, and asking for continuous feedback and input from your employees, your boss, your peers, and anyone who will help you improve. “Reflect on what’s working and what you could do differently to be more effective,” Traut says. It’s been 10 months in your new job. The hours are much longer than you were told in your interview; the flexibility you were promised has not materialized; and everyone in your department is miserable. Instead of sticking it out for another year-plus, double-down on your job-search efforts. 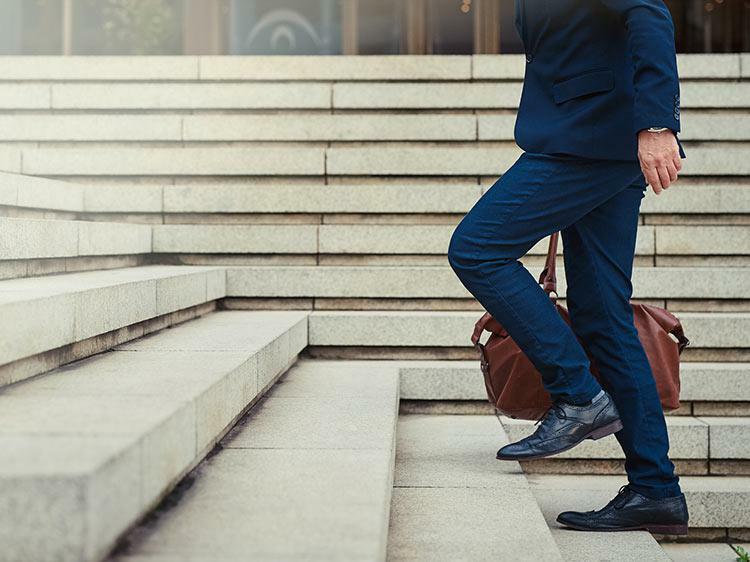 “In the past, leaving a job too soon made it more difficult to find a new position, as many hiring managers were leery of ‘job hoppers’ who wouldn't stick around,” says Carroll. That’s not the case any longer. Today it's much more common to have a few jobs with short tenures, especially early on in your career, she says. If you start a new job and discover it’s a bad fit, start looking immediately for something better. You don’t have to put up with something you hate to meet an arbitrary timeline. However, you should be prepared to explain why you left or are trying to leave so early, Carroll says, without sounding resentful or speaking negatively about the organization you’re leaving. Your boss wants to see results, not dark circles under your eyes. Spending a lot of time in the office for the sake of “face time” is not the key to success. When it comes to getting recognized and getting ahead in your career, time doesn’t matter—your accomplishments do. “I see people work themselves ragged, thinking they’ll get that next promotion or raise, and in the process they’re neglecting their families, friends, and health,” says Dawn Roberts, a career coach and efficiency consultant in Houston. If you prioritize your tasks and become more efficient, you can spend less time at the office and still impress the boss. Send your boss a weekly summary of your tasks, but make sure the focus is on what you accomplished—not the hours it took to do it all—as well as the impact of your hard work.